Outside the city of Honolulu, time moves slower than mainland time. To fully enjoy "Aloha" you'll want to slow down and take in the flowing, warm trade winds that set the pace of the islands. Think of hula, the beautiful dance of Hawaii. Dancers tend to sway in rhythm with the palms. If you'll simply breathe in the fragrance of the blooming tropics and relax, you can do that too. All the islands in this wonderful Pacific chain are open and welcoming to tourists. Children and elderly are accepted with open arms. Other than reservations for a tee time, tour or meal, your time is your own to enjoy at a leisurely place. And, because of that, traveling with friends and family is a delight. There's no need to rush anywhere. If you find it difficult to let go, head for the beach. You might join a snorkel class and float on the salty water while you gaze at the most beautiful sea life imaginable. It's really difficult to float unless you relax your body. This is a our favorite way to get into the island pace.The baggage we've brought with us (frustrations, anxiety, work issues) float away when we're bobbing in the waves. 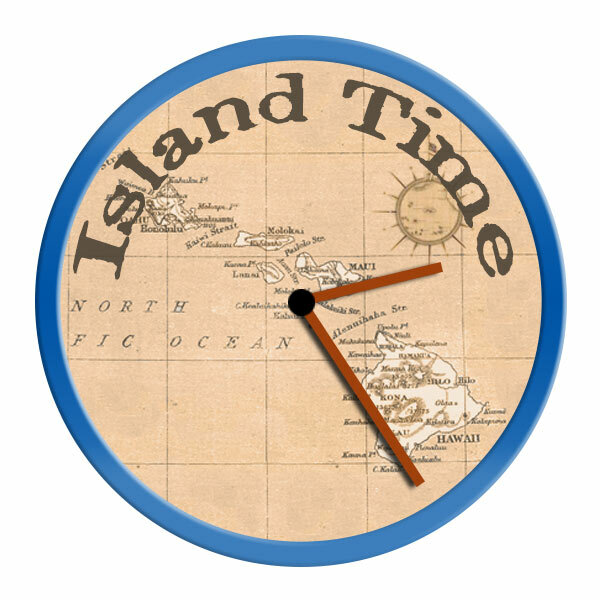 The worn-out phrase of "living in the moment" is your best friend in the islands. Hawaii is a destination for relaxation. Schedules are meant to be flexible. Your cell phone should be a guide to those things that pique your interests in the islands. The occasional traffic you encounter is your opportunity to drive more slowly. In short: Take full advantage of Island Time. Perhaps, rent a Jeep. You'll return to the rat race much too soon.